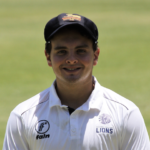 Jacob Miltz will be topping off what has been a great school cricket career when he captains the Central Gauteng Lions U19 team at the Coca-Cola Khaya Majola Week in Cape Town in December 2018, writes THEO GARRUN. 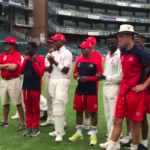 Garnett Tarr will be disappointed if the Free State U19 team does not make it into the main game of the Coca-Cola Khaya Majola Week in Cape Town in December, writes THEO GARRUN. 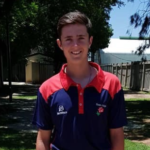 Luke Holland of St Benedict’s College will captain the Easterns U19 team at the Coca-Cola Khaya Majola Week in Cape Town from 16 to 20 December 2018, writes THEO GARRUN. 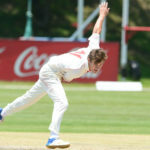 We were at the Wanderers for day five of the Coca-Cola Khaya Majola Week for the final clash between Gauteng and Border. 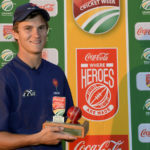 Curtis Campher and Joshua Richards helped Gauteng claim a nine-wicket win against Border in the final Coke Week clash at the Wanderers. 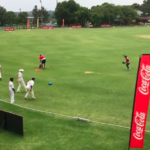 We were at St Stithians for day three of the Coca-Cola Khaya Majola Week, the round of 50-over matches. 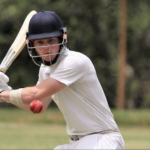 We were at St Stithians for the main clash of day four of the Khaya Majola Week, as two unbeaten sides, Gauteng and Boland, battled it out on the main oval. 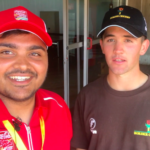 We were at St Stithians for day three of the Coca-Cola Khaya Majola Week, the round of T20s. 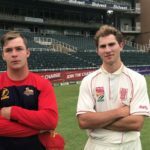 SACricketmag.com was at Wits for day two of the Coca-Cola Khaya Majola Week and witnessed Jason Niemand score 131 off 111 balls. 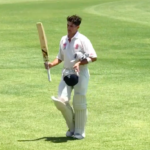 SACricketmag.com was at Wits University to witness an extraordinary century from Jason Niemand against Western Province, on day two of the Coca-Cola Khaya Majola Week. 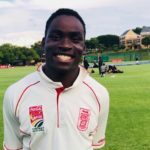 We caught up with the Hero of the Day, Gideon Peters, after his four wickets and run-out sealed a victory for Northerns on day one of the Khaya Majola Week. 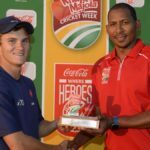 Gideon Peters was named Hero of the Day for his heroics against Border for Northerns on day one of the 2017 Coca-Cola Khaya Majola Cricket Week. 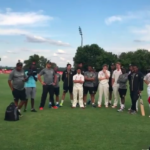 SACricketmag.com was at St Stithians on day one of the Khaya Majola Week to see Border’s batting lineup crumble at the hands of the Northerns’ speedsters.